→ What’s a guy who still shoots film supposed to do? I really enjoy your blog. I too love these cameras and have several. You got a good deal! If you ever need service I can recommend Mark Hama who does great work. Enjoy your camera. 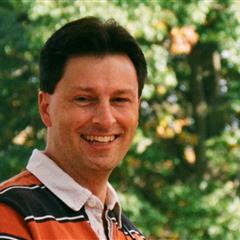 I’m very happy you enjoy my blog! I’m in love with my Yashica-D. It’s nice to know there’s someone up there who can keep it running. Those are wonderful TLRs, and glad that you are using one, Jim. As always, entertaining reading! I have a Yashica A, and a Rolleiflex. I use the Yashica more often. Thanks Mark! I’m glad finally to have one. I anticipate many happy days using it. Very nice detail and colors. Glad to see it has made it to your A list. The Yashica D was the first TLR that I ever used when I borrowed one from my high schools photo club to take a picture inside a church. Strangely I was recently given the left-over cameras from that photo club and the Yashica D was there and still appears to be working. Thanks! I just love the detail and color I get from this camera. Love it! I haven’t felt this enthusiastic about a new-to-me old camera in a long time. How cool that you got that Yashica-D from your high-school days. Very nice results; I especially like that last one of the flowers. I have similar feelings about the Yashicamat, and always feel I should be paying more attention to it. I suspect I would use it more if I had the close-up attachment which has parallax compensation as well as the close working capability. Thanks so much, Mike. The last one is my favorite too. The sun was setting and the light was really delicious. I just love the color the E100G delivered. I’ve been bidding on these on and off for months. The Yashica D and the Mats (I like the crank, I guess) were what I was going for. 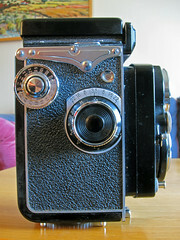 For now, anyway, I’ll be content with my 1939 Ikoflex. But maybe my eye is wandering towards something in a Mamiya Cxx. Probably is. But congrats on your new old camera. These are great machines. I have a trick. Every day I look at the Film Cameras and Vintage Cameras categories on eBay and Shop Goodwill, and sort them by ending soonest. I have a short list of cameras I want to buy and I’m always looking for those. I get the best bargains this way, on nice cameras that somehow escaped notice. I also use http://www.zoomthelist.com to search Craigslist nationwide for a certain camera. This technique has served me well in searching Craigslist and acquiring cameras. ZoomTheList indexes Craigslist ads but it isn’t as “fresh” as just searching cities on Craigslist for certain cameras. Always fun reading your blog. That camera’s got an intriguing depth of field. 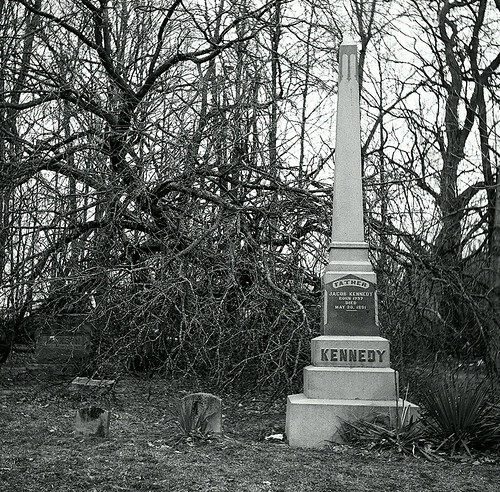 If I didn’t know better, I’d absolutely swear that photo of the 1871 headstone was Matthew Brady’s work. If you could add a neutral density filter to it and take exposures a second or two long, you could totally fake that. Thanks for the compliment! 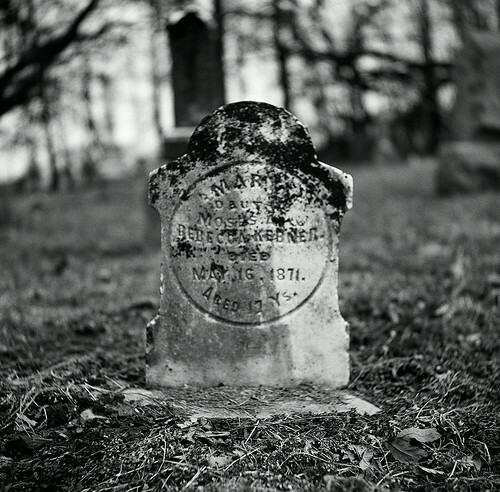 That photo is from a Civil War era graveyard — perhaps it’s not hard to capture the essence of a time when you’re in a place frozen in that time. Outstanding acquisition; and you are just the man who knows how to use it. Thank you, David! Your encouragement is always appreciated. Enjoyed reading about your Yashica-D. 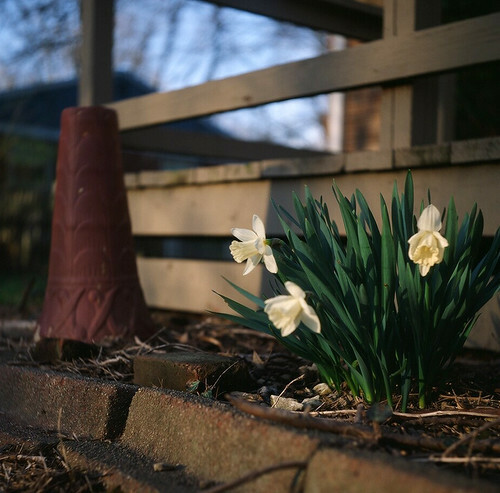 The TLR’s are great for when you want to slow down the photo-taking process versus using a 35mm SLR. 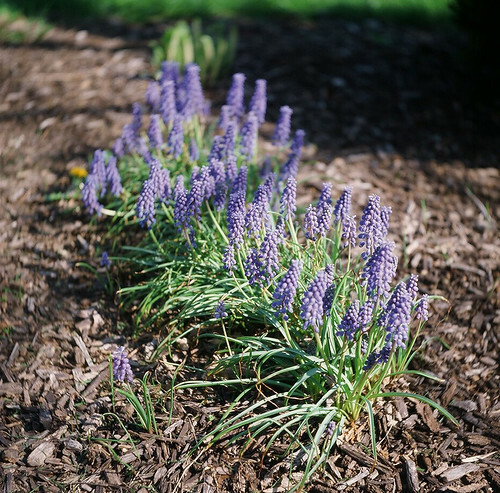 And I really like how the greens are rendered with the Ektachrome E100G. Very nice! 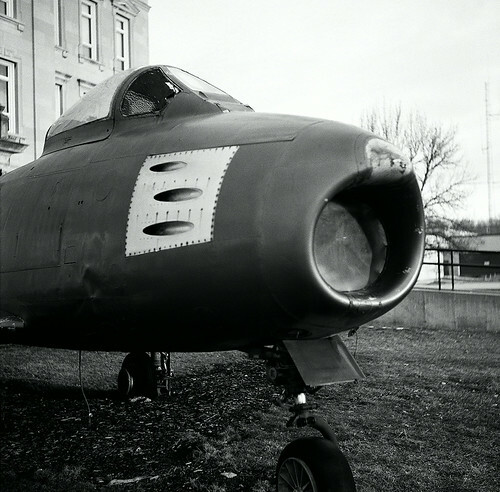 I recognized the jet in your picture as being a North American F-86, so I did a little searching online to find that it is a F-86F Sabre, s/n 52-5434, manufactured in 1952 and placed on public display around 1975. 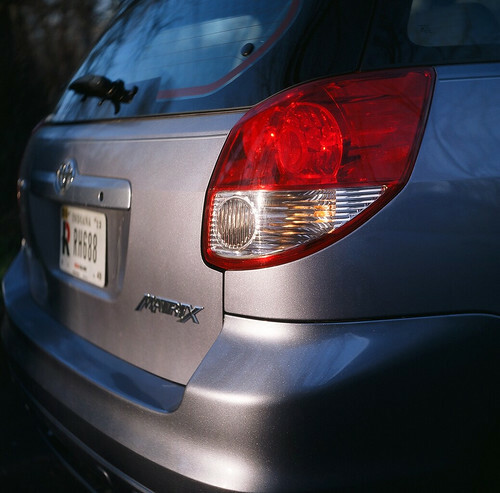 Wes, I agree: the E100G is a winner in this camera. I have four more rolls in the fridge waiting for the right day to spool them into this wonderful machine. And thanks for sleuthing the Clay County jet! Stumbled on this post this morning. 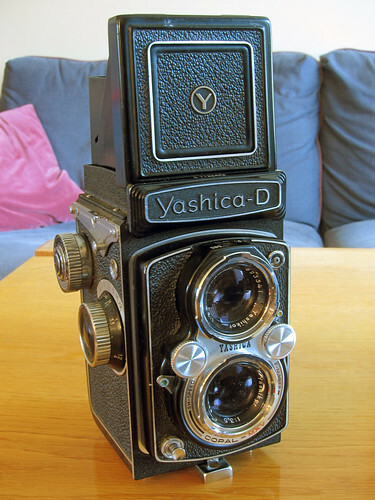 I still have the Yaschica D I purchased in 1968. It’s a great camera! Thank you for the write-up! It is a great camera! One of my favorites. I have a Yashica-D with case and instruction book and even some flash bulbs. Can you give me an idea of the value. I’d like to sell it. I don’t know. But what I do know is that eBay is a pretty good way to find out. 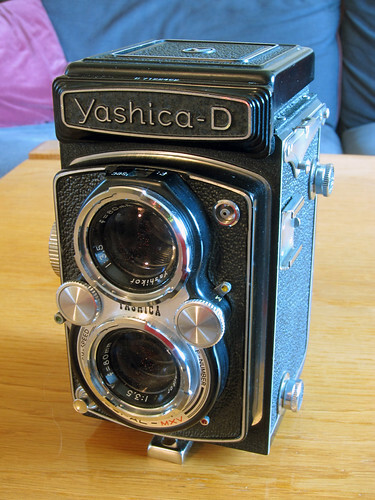 Go there, type Yashica-D into the search box and hit Enter, and then look for the “sold items” checkbox. 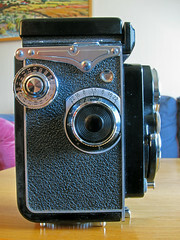 You’ll find out what this camera has sold for recently, which will be as good a guide as any as to the camera’s value. 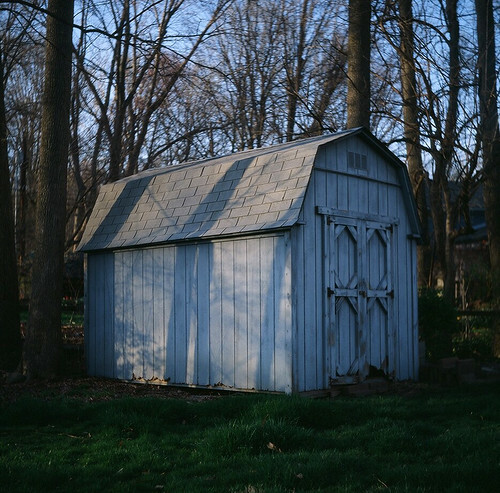 Yeah, the only processing you can get in Indy is 35mm color. Kind of a shame. If I were more entrepreneurial, I might open a shop and develop whatever is sent my way. Cracks me up that you could buy Yashica TLRs at Zayres! Hang tight: on Monday, I review a Yashica-12! I just discovered my Yashica D camera a few weeks ago in an antique shop. And what a discovery it is! 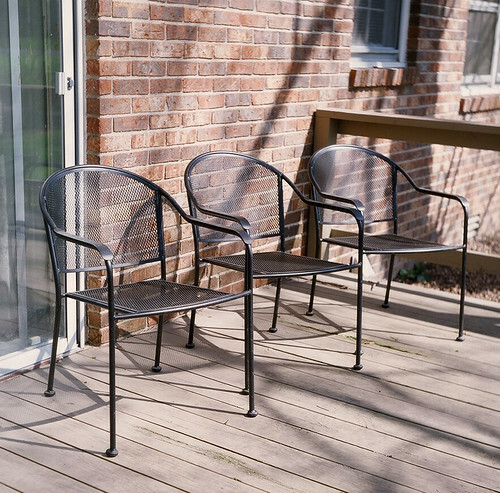 I just shot my first roll of film, and I’m pretty happy with the results. While I had to misfires and two double exposures, I’m very content. I do have a question. I’d like to start using this camera to take night time long exposures. How do I use the bulb function on this camera to achieve this? My camera does have the mechanical self-timer which does work, but I have not figured how to close the shutter once I depress the shutter button to take the picture. Thanks for the info! Would you happen to know which cable release and adapter I’d need and where to get it? Cable releases are standard. You can buy one at any photo store, or maybe pick one up on eBay for cheap. They screw in, and you press the plunger at the other end to snap the shutter. Use a cable release to hold the shutter open on bulb. Put a slight bend in the cable while holding it to prevent shake. This should apply to that model. But be warned! A fatal flaw involves the self-timer in some models. Study tnis next link until you understand it. Cheers. Take it to eBay; my blog isn’t the right place to sell anything. Here’s hoping you judge my future subjects as non-ridiculous!